HomeWorking SmartHow to Move to Electronic Filing, Taking all your Documents with you. The Electronic Filing Cabinet is taking the concept of digitizing everything such as your ordinary mail and other relevant documents, and storing them on your hard drive. 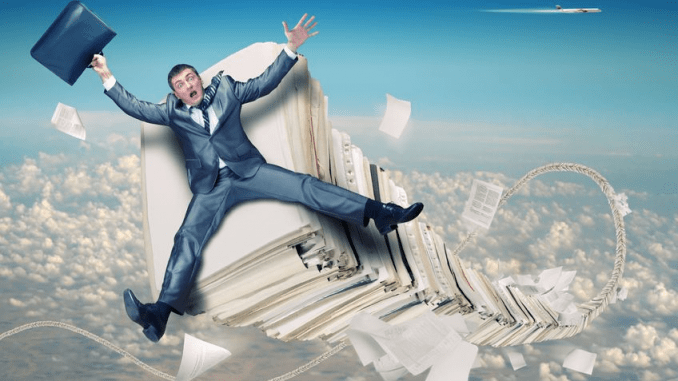 For many companies and small businesses, going fully electronic with your paper filing is the Holy Grail. However, many individuals and businesses find that achieving this holy grail of electronic filing to be difficult. Nonetheless, it’s easier to do today than it was ten years ago. I keep all my files electronically; my filing cabinet is just an empty metal shell that sits in the corner of my office to remind me of the days when I had paper files. 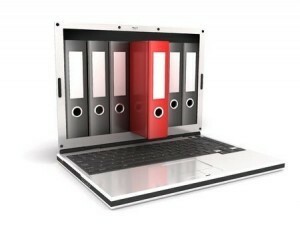 All my mail, bank statements, bills and any other relevant paper documents that you can think of I keep electronically. When I started this endeavor just a little over ten years ago, it was not so easy. I would scan each piece of mail and utility bill to file it electronically. After I scanned it and filed it, I would shred the original. It took time, a lot of time! Fortunately, with services available today, it is much easier. I no longer have a scanner and rarely use my paper shredder. Before starting your electronic filing cabinet, you need to think about the file format and how you are going to store your documents. Also, you must have a good backup system which I will talk about later. I found the easiest way for me to file documents electronically was to treat my hard drive as an actual filing cabinet. I would consider the “My Documents” folder on my computer as my filing cabinet. Each drawer of my filing cabinet would be a subfolder of “My Documents” and each file in my filing cabinet would be a sub-folder down. For me, this works well, as my filing cabinet had several drawers and I would use one drawer for work, another drawer for my home files and another for my online business. Then I would have different folders in each of drawers. For example, I would have an IRS folder for taxes, a quotations folder for customer quotes and a folder for each of the utility service providers to my house. As far as the file format, there is only one way to go, and that is wilt the pdf. It’s unvisual, and just about every application will output a PDF file thanks to Windows 10. If you don’t have Windows 10, there are several free printer drivers available on the Internet that will produce PDF files using your computer’s print function. The one I use is called PDF Creator from PDF Forge and is available as a free download. In Windows 10, press the control key and the P key at the same time. Change the destination to “Save As PDF” from local destinations, click on save and then give a file name. It’s important to make sure your folder names and file names are descriptive. For instance, Comcast is my cable provider. So to file a Comcast bill, I will go to “My Documents” folder, then “Home Files,” “Comcast,” and then a sub-folder by the name of bills. I give the bill a name containing the month and year. For example: “Bill_for_June_2014.pdf”. I also use another piece of software with my PDF files from Tracker Software Products called of PDF – Xchange Editor. There are many types of PDF file editors including the most expensive from Adobe. I chose PDF-Xchange Editor because of its low price and excellent online reviews, and I use it for three primary functions: 1. to stamp my bills as paid, 2. to make notations on my PDF documents and 3. I have an electronic signature stamp to sign PDF documents. Many companies today offer online bill pay. Most of these companies will let you download statements in PDF format by just logging onto their websites. An excellent service I use is FileThis. FileThis automatically logs into your accounts each week and retrieves your latest statements and bills, and stores them in one place for you. All you have to do is log into your chosen storage place, pay the bills and file them electronically. And for those companies who haven’t quite made it to the 21st century yet and still send paper bills or statements through the mail, there’s another service you can use called the Traveling Mail Box. The Traveling Mail Box provides you with an address and a PMB number. When you receive mail, they email you to let you know you have mail. You can then choose from a variety of options including open and scan my mail. When you select this option, they will then scan your mail into a PDF that you can download and save. If you are still using a fax machine connected to a telephone line, then I suggest you change to an online fax service. I no longer use fax to send and receive documents, but I know many people who still do. The two online fax services I’ve used in the past are EFax and MyFax. Both services are very comparable to each other and will digitize your inbound faxes and deliver them to your email box as PDF files. Again, you can save these PDF files to your electronic filing cabinet. The most important thing you need to do with your electronic filing cabinets is to prevent disaster from happening. And if it does, have a good backup plan in place. Since moving to Windows 10, I use Microsoft’s One Drive because it’s built into Windows 10. One Drive is available for other operating systems too. Two other things I like about One Drive is real-time file backup/synchronization. And the other is it makes moving to a new computer much easier. If you keep your electronic filing cabinet in a laptop you travel with, consider additional security measures. For example, hard drive encryption, or a hard disk password. I choose to use a hard drive password on my laptop because it has a Solid State Drive. If you set the hard drive password in the BIOS, it is difficult for anyone to gain access to that hard drive unless they know the password, even more so for SSD drives.